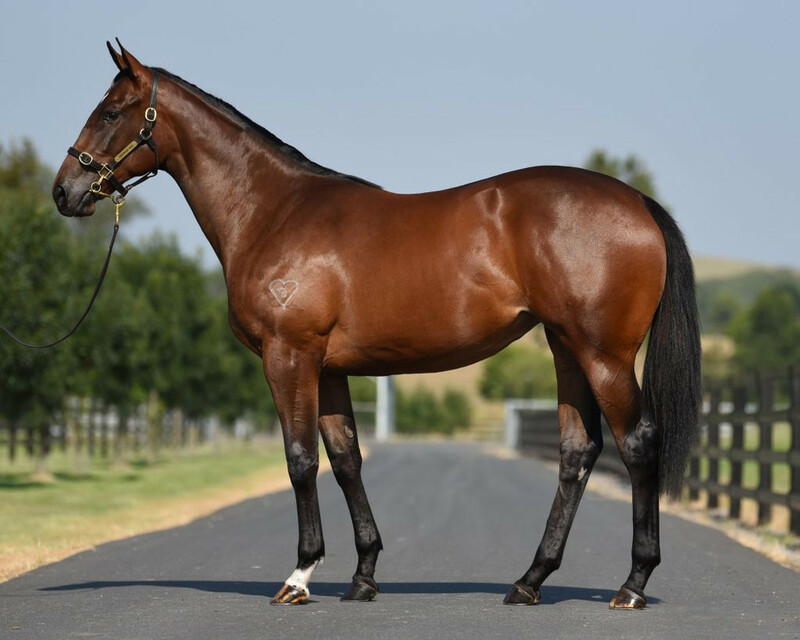 Ok folks, here's your chance to comment on the Medaglio D'Ora - Turnstiles filly that we recently bought a small share in following its sale at the recent MM. Clearly the second photo was taken before her yearling prep had concluded. Lovely length of rein, good depth and nice lay of shoulder, strong looking, like a colt at first glance. Having said that, she's lovely. She is. And a pretty colour too . She's well-proportioned, a pretty colour and will be quite elegant when she's fully grown. I don't think I've ever seen an ugly MDO foal. 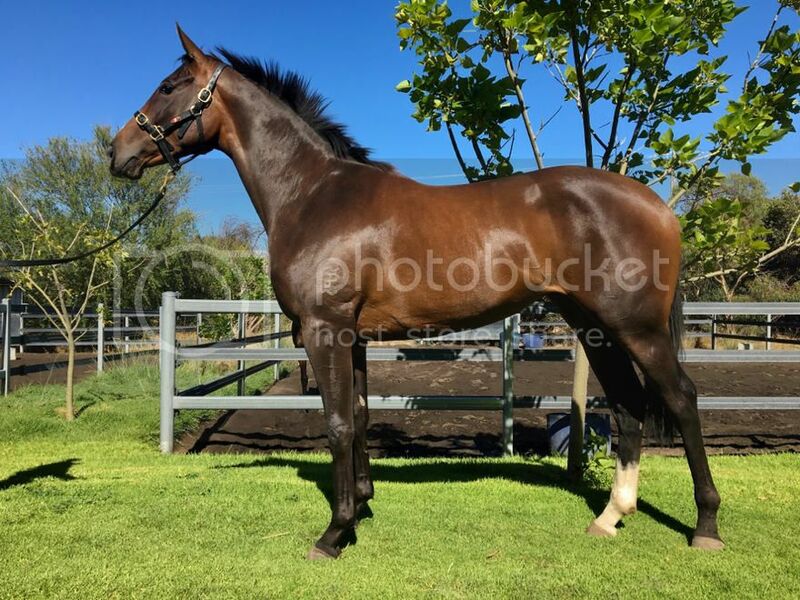 In the sales photo it looks like she has a very slight grazing foot in her left front. If a horse continuously grazes with one foot in front and one behind, eventually the one behind will start to look clubby. Contracted muscle on the back (weight-bearing) leg will pull up the deep digital flexor tendon which will pull up the heel relative to the toe. Attentive farriery, plenty of stretching, and perhaps a bit of in-hand dressage (for balance and equal strength on both sides) will mitigate this. Well here we go again folks. Here's a photo of our 2yo filly after she'd finished her first basic preparation a week or so ago. Any comments would be appreciated. 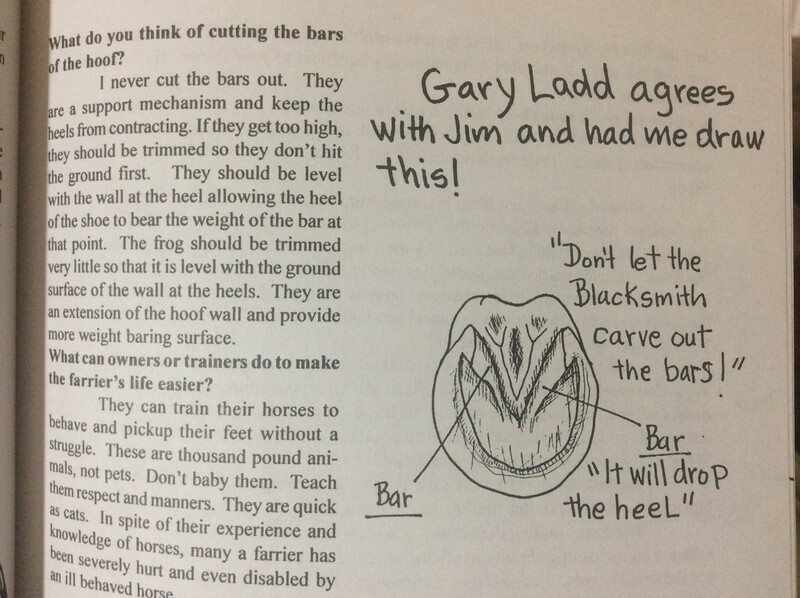 Just watch that hoof/pastern angle. Should be the same. 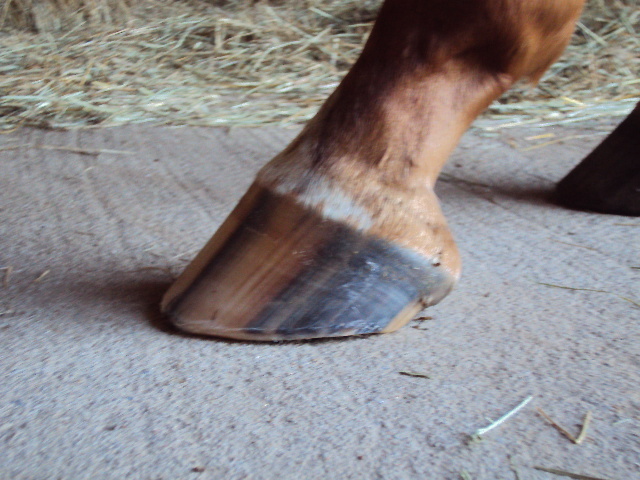 Makes a big difference if they have properly balanced, healthy hooves to race on. I like her shoulder lay and front, good angulation, nice length of rein, hope as she matures will get a bit more body (girth). Stands covering a lot of ground, hope this translates into stride length. Horse A passed in for $50,000. Horse B sold for $90,000. We appear to have got it right. So about that posture and hind ends. 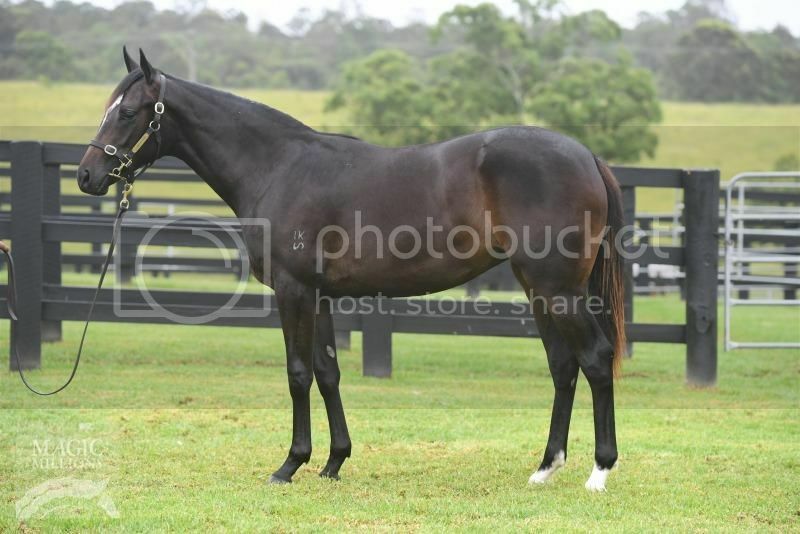 These two yearlings are up for sale at Inglis Classic. They're by the same sire and are fairly close in age. The dams are not closely related. One's dam is unraced and has a nice track record of producing winners. The other raced and won at metro level, is younger, and is similarly producing winners. Both horses have nice hips and good shoulders. Both of them are immature-looking in front, although Horse B (who is the older of the two) looks like it still has a baby face whilst Horse A has a more mature head. But the big deal comes in how they're standing. Horse A is standing square and appears to be camped out behind. If so, and it's not just this picture, this horse will have a more difficult time getting its legs under itself to push off and use the power of those hips. Horse B has the spread hind legs...so it's impossible to tell if it's also camped out behind. Liked the look of this at first sight, however at second glance thought he may have had a particular fault. Any comments including possible faults would be very much appreciated. 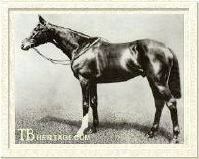 Shrunk, in answer to your query, the filly is by Skilled from Treasury Notes making her a half-sister to Money Maher. That last photo SC has put up. Those back legs from hoof up to first joint area looks funny to me, but maybe just the photo. They look swollen ? Well I've seen a lot worse, a little short of rein and could be a little humor build up in hind joints otherwise nothing outlandish imo. The offside rear fetlock has a big swelling, prob an injury? Behind at the knee is not good, prone to injury. Over at the knee is quite good and seems to work the opposite. The off front is slightly tilted forward giving the impression he is slightly " back" at the knee with the near fore, however all round he's not my cup of tea. I was most concerned about being back at the knee. Just sold for big bucks - do you see what I see? 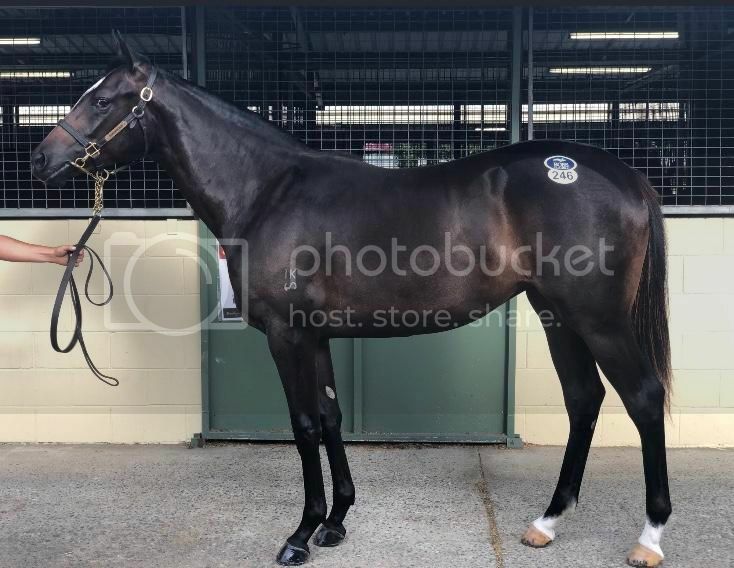 "Nothing in the world is so powerful as an idea whose time has come"
looks like a ring/side bone on the off fore, or maybe just superficial scarring from a paddock injury, I am sure an astute inspection would have sorted it..
Aren’t the two front heels completely different? Like two different horses. One very low, and one very high? interestingly the hoof with the dodgy coronet has the most heel. Agree GAJ, it was the potential ringbone that may be there that I saw. Having said that, photos are mostly good for coat colour and a general first impression. You must inspect the horse! I have seen many photos that look good and when you see the yearling it was not what it looked like in the photo and also vice versa.